Time and Space celebrates “Doctor Who,” one the world’s most enduring television sci-fi series. Co-hosts (and recently married couple) Jessica Nunn and Phillip Gilfus take an in-depth look at the current episodes of the Doctor and her companions, exploring how the new adventures of the Thirteenth Doctor break new ground and reach back into the canon. 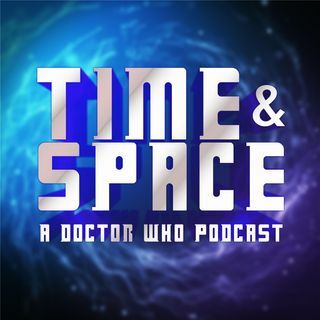 Jessica, a newer Whovian and an 11-year resident of the United Kingdom, and Phillip, a lifelong resident of the USA and fan of classic & ... See More nuWho, join together to discuss characters, stories, technology, Big Finish audio adventures, novels, and comics. They journey into the “TARDIS archives” each episode to look at how classic Doctor adventures helped pave the way to contemporary stories. Join Time and Space as Jessica and Phillip explore their love of “Doctor Who,” and, occasionally, for each other.